1986 Porsche 911 Turbo finished in Guards Red over Black leather. All original and in excellent condition! This stunning 1986 Porsche 911 Turbo (930) is finished in Guards Red over Black leather. Just over a year ago this car was traded in to Porsche of Warwick in Road Island by its original owner, and remains completely original aside from a Nakamichi CD player upgrade. It now shows 93,100 miles and was taken to iMA Motorwerke in Chantilly, Virginia in September 2018 for over $5k in service including new spark plugs, a new ignition relay, A/C system overhaul including a new evaporator, new engine belts, and more as described below. This 930 Turbo is now being offered with service records since 2014, a Certificate of Authenticity, owner's manual, a clean Carfax, and a clear Florida title. Guards Red paint is in excellent condition and free of any major blemishes. The paint cab be seen from several angles in the extensive photo gallery below. 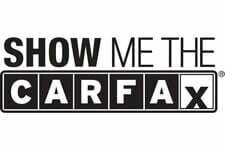 The included Carfax dates back to 1994 and does not report any accidents or damage. Correct 16? Fuchs forged alloy wheels with black centers and anodized lips are equipped. They are currently mounted on a set of 205/55 front and 225/50 rear Continental Extreme Contact tires, with each corner also highlighted in the gallery. The black leather seat upholstery are in fantastic condition are free of rips, tears, or excessive wear, and the factory-optional heated driver's seat can be switched on via a toggle next to the standard power adjustment controls. The dash is free of any cracks, lumps or discoloration. The Nakamichi CD player is the only known interior alteration. The six-digit mechanical odometer shows 92,691 miles which is backed up by the Carfax and recent service receipts. The numbers-matching turbocharged 3.3-liter flat-six and 4-speed transaxle have reportedly been kept stock. When new, Porsche claimed that the engine produced 282 horsepower at 5,500 rpm and 289 lb-ft of torque at 4,000 rpm, resulting in a top speed of 157 mph. In September 2018, approximately 60 miles ago, iMA Motorwerke complete a $5k service as documented above. Work included a new ignition relay, spark plugs, seat repair, an A/C system overhaul with a new evaporator, air box, blower motor, and receiver dryer, plus new drive and V belts. Additional parts receipts and records since 2014 are pictured in the gallery, along with the OEM owner's manual. Engine #68G01244 matches the CoA below as original to the car. According to the CoA, this 930 was built on June 3, 1986 finished in Guards Red over Black leather. The original engine, transmission, and chassis numbers are displayed along with all aforementioned factory options. The accident-free Carfax dates back to 1994 when the car showed 68k miles. Consistent odometer readings and several service history records are recorded since.